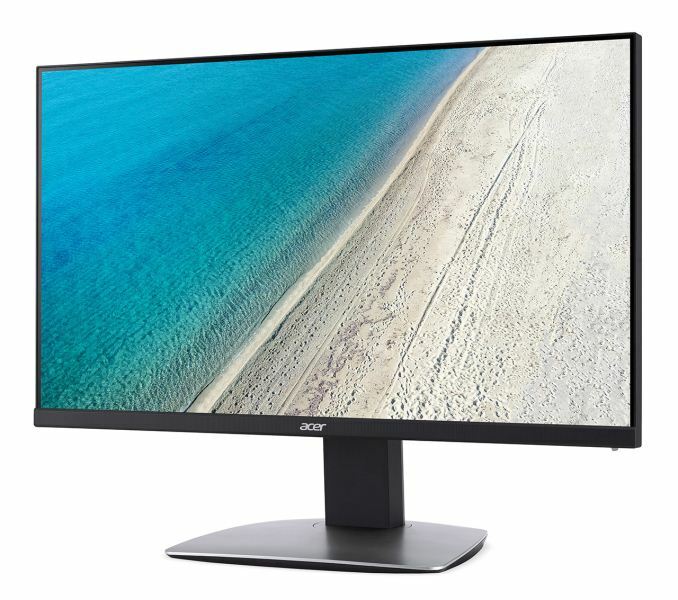 While gaming monitors like the Predator X27 and Z271UV tend to get the most attention, there is still a significant market for work-oriented monitors that boast accurate color reproduction and a large work area. Those are two criteria that the new Acer ProDesigner BM320 has been designed to meet. 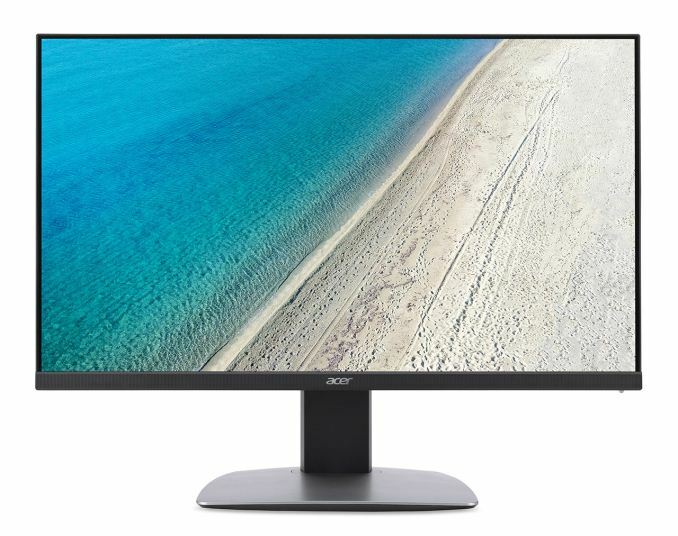 This 32-inch display has a native UHD resolution of 3840 x 2160 with a standard refresh rate of 60 Hz. It features an IPS panel with anti-glare coating, a peak brightness of 350 nits, wide viewing angles of 178°/178, and a 5ms response time. Contrast is listed as a comical marketing speak 100,000,000:1, which is the Acer Adaptive Contrast Management (ACM) figure. Color reproduction and wide color gamut support is a key feature of this model, and it expands its range to include 100% of Adobe RGB, 100% of sRGB (plus 100% of Rec. 709), and 90% of DCI-P3 coverage. There is no explicit mention of a 10-bit panel, but support for 10-bit color is touted as a feature. The ProDesigner BM320 also comes factory calibrated and tested to ensure a DeltaE of 1.0 or less, which is near perfect color accuracy and better than almost all other claims of per-unit factory calibration, which typically gives dE < 3. Professionals will also have access to 6-axis color adjustment settings to create custom color profiles or simply to update the calibration as the monitor ages. 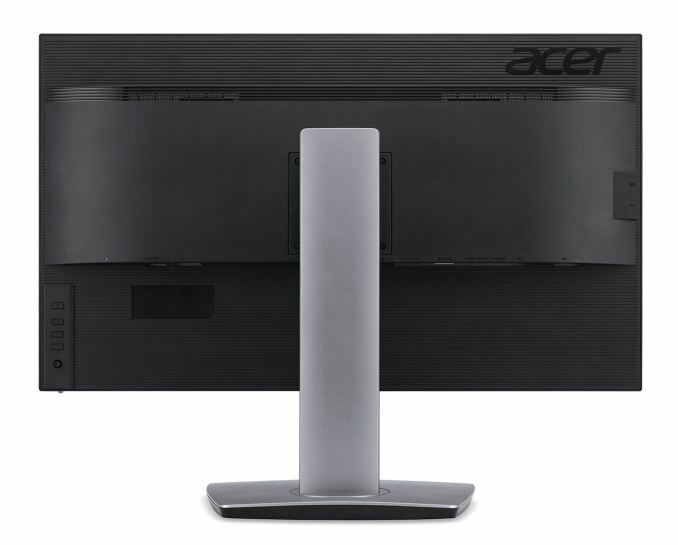 Given its professional positioning, the BM320 ships with Acer’s highly adjustable ErgoStand. The stand can tilt the display between -5 to 25 degrees, swivel +/- 45 degrees, pivot +/- 90 degrees, and provide height adjustments of up to 5.9 inches (150mm). The 90° of swivel rotation should not be overlooked since that means the display can be rotated into a vertical orientation. The ZeroFrame design results in this model having very thin screen bezels on three sides, which should help create near seamless multiple monitor setups. Connectivity is listed as DVI, DisplayPort 1.2, Mini DisplayPort, and HDMI 2.0 video outputs. There is also a five port USB 3.0 hub (1 up, 4 down) and two integrated 2W stereo speakers. The Acer ProDesigner BM320 is available now in the United States with an MSRP of $1299 and a three-year warranty. That is a high price tag for gaming enthusiasts, but not outside of the norm for a display aimed at creative professionals.